With eye-popping colors and shapes, intense flavors, and curious textures, sweets and candy are beloved by people of all ages worldwide. They provide minor treats, lessons in economics for children, and colorful giveaways to mark festivities. They can be admired for beauty and novelty, make ideal gifts, and can even be used to woo. But these seemingly inconsequential indulgences are freighted with centuries of changing cultural attitudes, social and economic history, emotional attachments, and divergent views on the salubriousness of sugar. How did confectionary become so popular? Why do we value concentrated sweetness in such varied, gooey forms? And in the face of ongoing health debates, why persist in eating sweets? From marzipan pigs and nutty nougat to bubblegum and bonbons, Sweets and Candy looks beneath the glamour and sparkle to explore the sticky history of confectionary. Methods for making sweets can be traced back to the importance of sugar in Arabic medicine and the probable origin of this practice in ancient India—a place where sweetness is still important for both humans and gods. 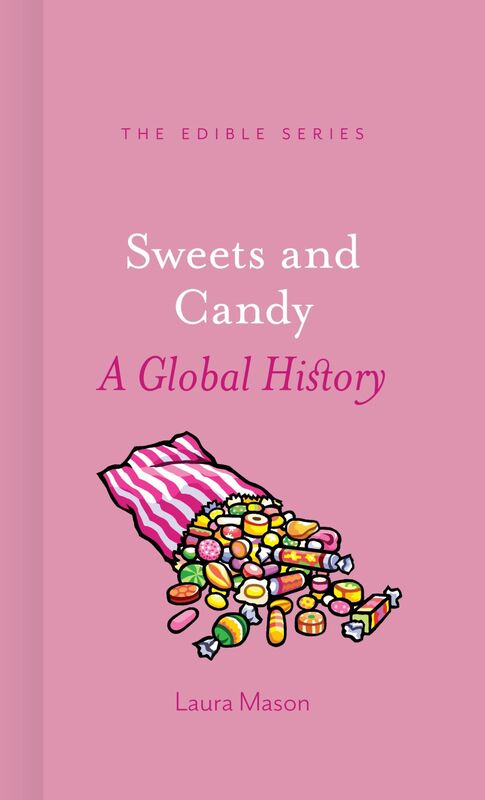 Gorging on gobstoppers from these early candy antecedents to modern-day delectables, Laura Mason describes the bewildering and fascinating ways in which different cultures have made, consumed, valued, and adored sweets throughout history. Featuring a selection of mouthwatering illustrations and scrumptious recipes to try at home, this global candy trail will delight sweet-toothed foodies and history buffs everywhere.